Jacuzzi #6500-343 2 Speed, 2.5 HP, 230V pump and motor combination fits all J-320 model hot tubs made. Universal rotation fits all J-320 suction and return line locations. This is the new "bracketless" motor, and comes with universal mounting bracket. 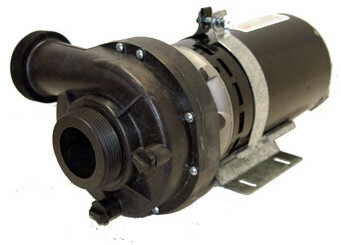 Once the universal mount is installed, one bolt provides easy install and removal of the motor and pump.